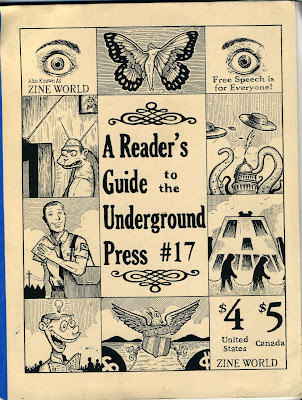 Zine World: A Reader's Guide to the Underground Press was an independent publication which covers independent and underground media. 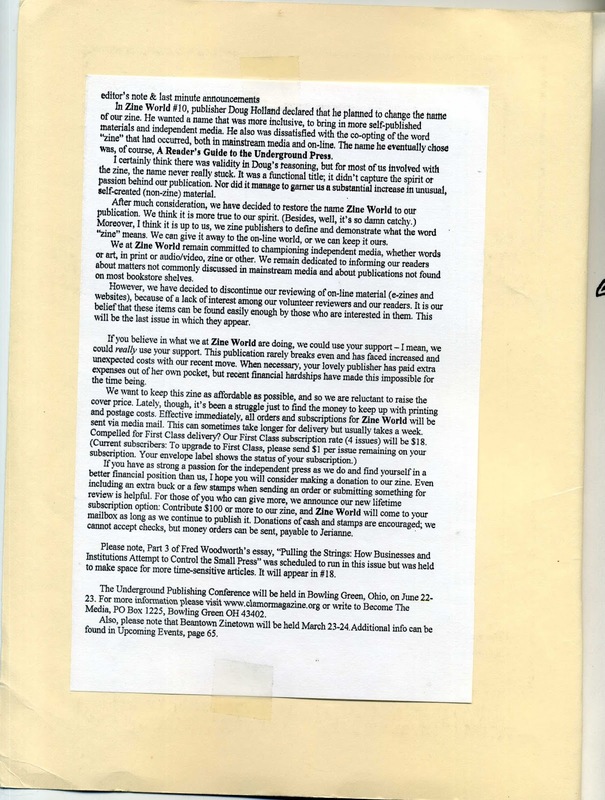 It was the largest review zine being published in the United States throughout the late 2000s. It reviewed mostly zines, but also books, comics, newsletters, videos and spoken word recordings. The material it covered was generally available directly from the publishers, and each review included ordering information and other specifics (such as whether or not the item is free to prisoners, or the publisher's trade policy). Its news section covered free speech issues, and other topics of interest to the independent publishing community. It also included a word of mouth section, with reports on distros and stores, zine libraries, other review zines, and publishing resources. It published columns by Karl Wenclas, Jeff Somers, Grant Schreiber, Christoph Meyer, Gianni Simone, and other prominent underground writers. It featured illustrations by Alan Lastufka, Sue Clancy, Violet Jones, Cole Johnson, Mike Twohig, and a wide variety of other indie artists. 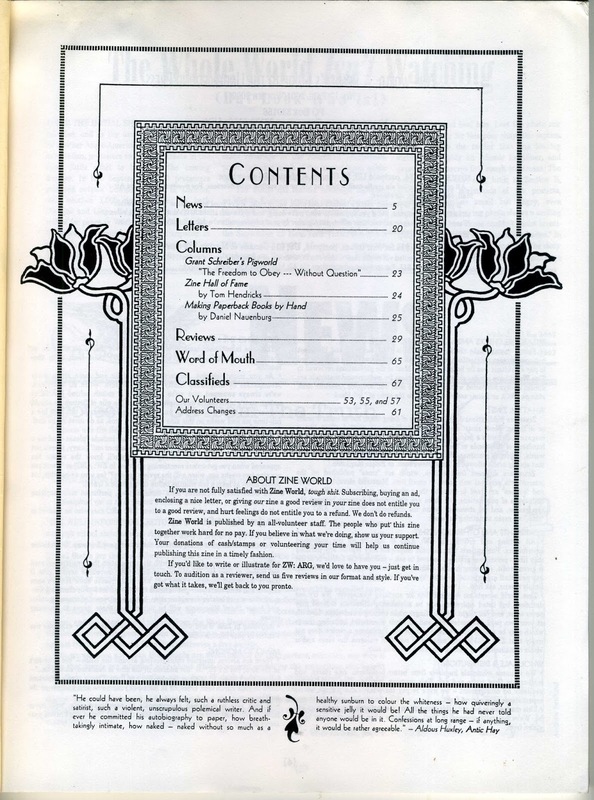 The zine was launched as Zine World in 1996 by Doug Holland as a more opinionated alternative to Factsheet Five, but has continued publishing since its larger competitor's disappearance in 1998. 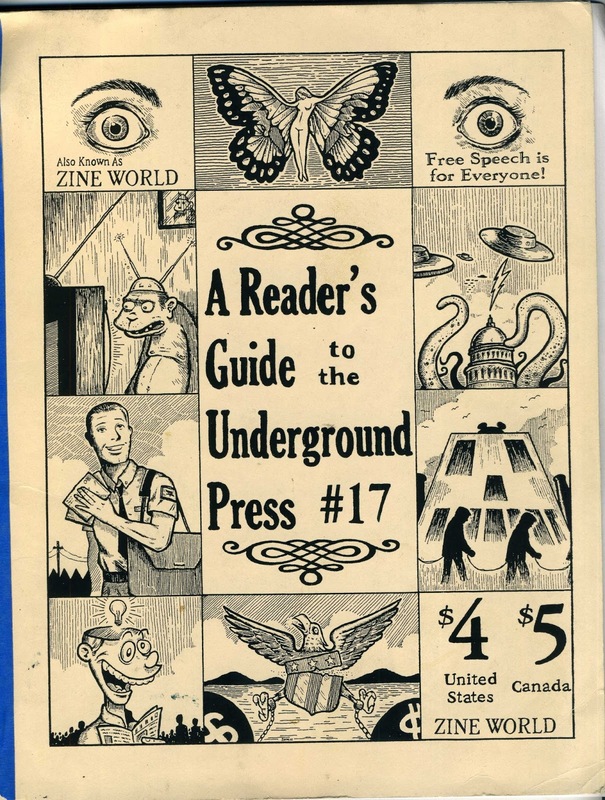 In 1999, it changed its name to A Reader's Guide to the Underground Press, and began using both names in 2003. 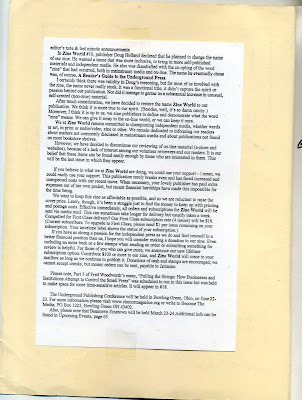 It was once widely decried (in its own letters section, on the Usenet group alt.zines, and elsewhere) for running gratuitously negative reviews (particularly from departed contributor Joe Gallo), but is now less controversial. It now publishes roughly three times a year. After Holland stepped down in 2000, Jerianne Thompson became editor/publisher and supervised the all-volunteer staff. 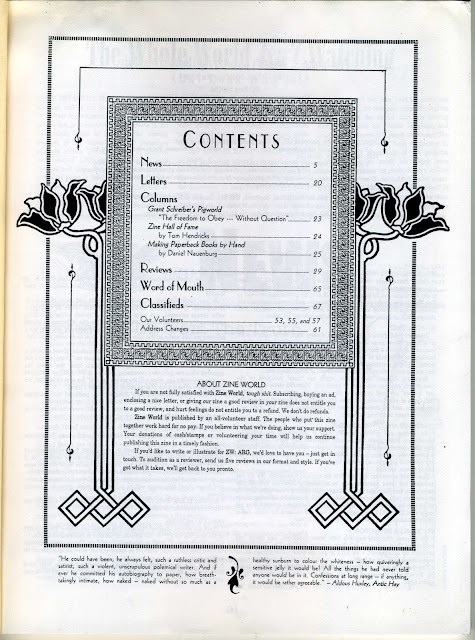 The final issue, #31, was published in 2012.